With urbanism becoming the key driver of socio-economic change in China, this book provides much needed up-to-date material on Chinese urban development. 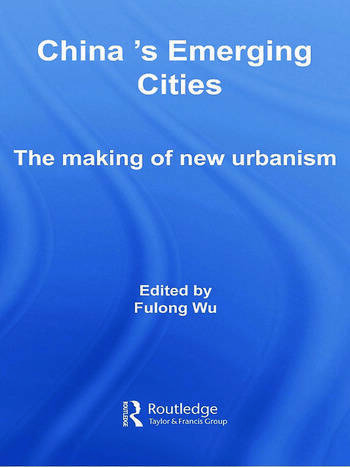 Providing a clear appraisal of recent trends in Chinese urbanism, this book puts forward important new conceptual resources to fill the gap between the outdated model of the ‘Third World’ city and the globalizing cities of the West. Fulong Wu is Professor of East Asian Planning and Development and the Director of the Urban China Research Centre at the School of City and Regional Planning of Cardiff University. He is co-editor (with Laurence Ma) of Restructuring the Chinese City (Routledge, 2005), editor of Globalization and the Chinese City (Routledge, 2006), and co-author (with Jiang Xu and Anthony Gar-On Yeh) Urban Development in Post-Reform China: State, Market, and Space (Routledge, 2007).